If good vibes, having fun in the sun, being outdoors and enjoying fine cuisine appeal, grab a flight to come join us out here in paradise. Don't forget to save room for cheese and wine, and remember we're surfing tomorrow morning. Try both Surfing & Stand Up Paddle Boarding (SUP) with Retreat Packages. Really? Yep. We keep it simple. 2 packages. Book with surf lessons or without. Otherwise Sanctuary Surf is All-inclusive. Only 1h15 flight from London, making Sanctuary Surf the perfect weekend getaway if you need some sun before the summer hits the UK. Great if you want to give surfing or SUP a try but don’t want to commit to a full week. For those deserving a real summer holiday. Beach, sun, surf, good food and wine, with plenty to keep you occupied and endless opportunities to switch off. 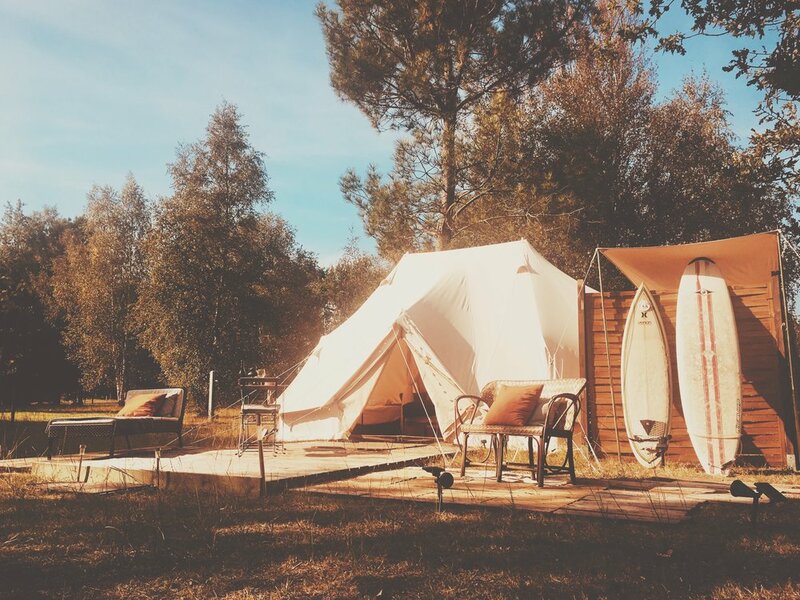 The perfect 1-week glamping getaway with a bit of surf and SUP thrown in. Small personal camp site. Your personal sanctuary. Max 12 guests. Keeping numbers down, keeps service up. Private fully furnished canvas lodging + Terrace. “Ahh it’s well nice” (said most guests last year). “Ultimate Emperor” Bell Tents. The biggest on the market. Settle in. Private ensuite: Canvas covered toilet & washroom. No midnight toilet dashes with a torch. Convenient. Guaranteed access to surf equipment outside of lessons. Airport, Beach & Lake Transfers included. No long walks with the heavy boards. Too right. Towels and toiletries provided. Feel fresh. Finest surf camp dining (Full board). Eat like a King or Queen; Fresh, local and well. Drinks included with meals. A glass of red with dinner of course. You are in Bordeaux after all. Bordeaux city visit (Voted UNESCO best city of 2017). You weren’t going to miss it were you?!?! After a solid day at the beach, kick back at the Sanctuary ‘Glampsite'; in the shade of the big oak, on your private terrace or on any of the loungers, hammocks or sofas. Of course there’s the bar, pool table and plenty of other activities to help you unwind before another al-fresco feast. If you fancy giving the muscles a rest, Sanctuary Surf has plenty to offer in addition to the beach. With France’s largest freshwater lake is only a 5-minutes drive away, Lonely Planet’s city of the year and UNESCO heritage site Bordeaux is 1hr and we don’t forget the world’s most famous wine region, the Médoc on our doorstep. In France we live to eat and at Sanctuary Surf we embrace this reputation with food taking pride of place. Our outdoor kitchen cooks up a daily rotating French rooted menu with the odd fusion from our travels, using only fresh and local produce where possible. 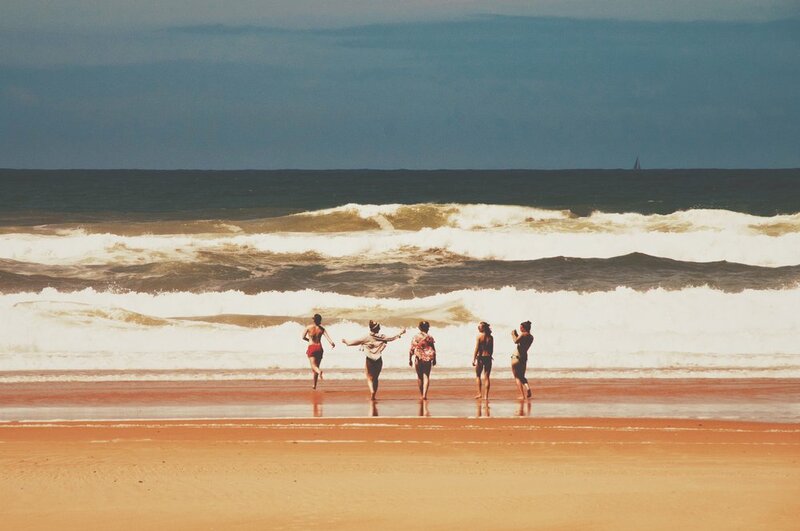 Book your summer holiday on the beach in South-West France, near Bordeaux and live “la belle vie” with Sanctuary Surf. 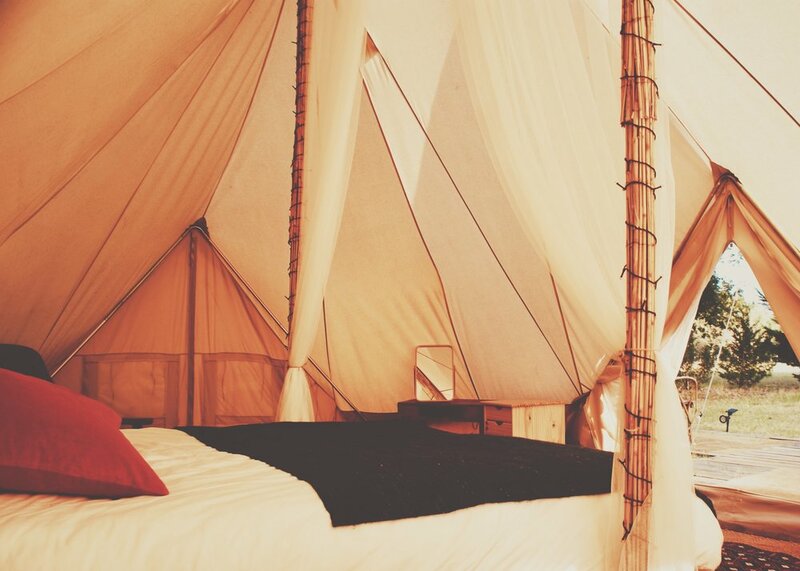 Treat yourselves to unique Glamping accommodation and quality dining with our unbeatable packages. Enquire now and we guarantee a hassle-free holiday. Thanks for your interest! We'll back back in touch in the next 24hrs or at the time you specified. Catch you then.